I also diverge with the ending. When I first read it, I loved the narrator’s irony and cynicism, especially towards the end of the novel when he explains how the District Commissioner (obviously a white man) is writing about his experiences in Africa and finds fabulous trimmings for his book in Okonkwo’s suicide, and other such interesting African occurrences. This reflects well the mindset of many whites who visit Africa and act as if they were visiting the circus, observing reality from the stalls with an attitude of hedonism, ready to take a photo just to say that they have been there and go home with a tan. However, in terms of the narrative thread, I did not like the fact that the District Commissioner’s book writing was not announced beforehand but rather left until the very end and introduced with no warning, causing some surprise. The ground needed preparing. There are other interesting details, such as the fact that the novel’s title is inspired from a poem by Yeats, The Second Coming. Additionally, at one point, a character emits the sound ‘oh’ at the end of an expression, a feature that is more common to Liberians (and up to a lesser extent to Ghaneans) than to Nigerians. In Liberia for instance, it is common to say “Good morning o.” Additionally, on some pages elsewhere one can find rudimentary drawings (by Uche Okeke), such as one that depicts a village meeting. I am personally not fond of drawings in novels, as they condition the imagination, although these details do not spoil the story in Things Fall Apart. Having said this, I would also add that the emphasis put on details throughout the novel (I am mainly referring to written descriptions) made me question: to whom were these descriptions directed towards? And my answer would be to Whites more so than to the Blacks or Africans, seen as the latter know well their traditions, although that does not mean that the main recipient may not be Black Africans, as they too may enjoy reading about minutiae that they are acquainted with or have heard of. In another vein of thought, Achebe, the author of the book, in fact received a Christian, intellectual almost “white” education, as his father was a missionary. However, by no means did that refrain the writer from making it clear in his novel that there was a pre-colonial society that advocated values that Africans should be proud of. Similarly, Achebe wishes to incite Africans to emancipate themselves and to move on. To this end, education and literature play a key role. I take this opportunity to add (although it may not be directly related to the novel) that what strikes me personally is that Blacks seem to show little interest for the White world. Perhaps the educational factor is meaningful in this sense. Regarding traditional customs, it is often disturbing to realise how powerful they are, especially the ineluctable oracle, with its unpredictable and threatening resolutions that must be forcefully executed. The oracle and the weight of customs undoubtedly mark future occurrences across villages in the novel (a faithful reflection of many African realities), including practices such as getting rid of newborn babies (in the case of twins) and of dismembering babies who are born with defects so that they cannot return to this world etc. Among the ‘harmless’ customs, I would like to pinpoint that Okonkwo and his friends sniff from a bottle that probably contains tobacco, a common practice in African culture. Another interesting discovery was the ‘coco-yams’, also known as taro, that grow in Umuofia. They are named after the coco plants that they are planted next to. We also find the udala tree among the main tree types within this area. It was also new for me to learn that cam wood is used to adorn one’s skin. In another section, the culture shock between Blacks and Whites becomes evident in a scene where some Nigerian characters refer to a White by wondering if he is fool because he doesn’t understand their customs, since he too might think that they are fools because they also don’t understand his. In short, I quite liked Things Fall Apart. It is true that the message of the novel could be larger than its quality, but this does not detract from the novel’s quality. Not surprisingly, in his introduction to the book, Simon Gikandi affirms that Achebe invented African literature because he is capable of showing that the future of African writing does not lie in a simple imitation of European forms, but rather in a fusion of these with traditional oral literature. This makes me corroborate the high quality of Achebe’s work. But, on the other hand, it also makes me question why African writing should merge with European literature… Needless to say, Gikandi does actually recognise Achebe’s narrative independence and pioneering style. In any case, there is no doubt that Things Fall Apart is the most well known African novel in the world. It has been translated into over 45 languages. It was published (not written) when Achebe was merely 29 years old during a period of anxiety and crisis, as the colonial period was coming to an end. As the critic, Gikandi explains in the introduction, the novel aimed to address the question of what will happen next? The novel is certainly revolutionary in some aspects, as it calls to Africans to respect themselves and to try and understand the source of the African crisis. As Gikandi says, Achebe’s novel presents a colonial experience, but it does not convert a supposedly romantic African past into a myth. On the contrary, it reveals how the controversial killing of Ikemefuna (for example) may have been excessively rigid of Okonkwo and far removed from a romantic and heroic Igbo past. 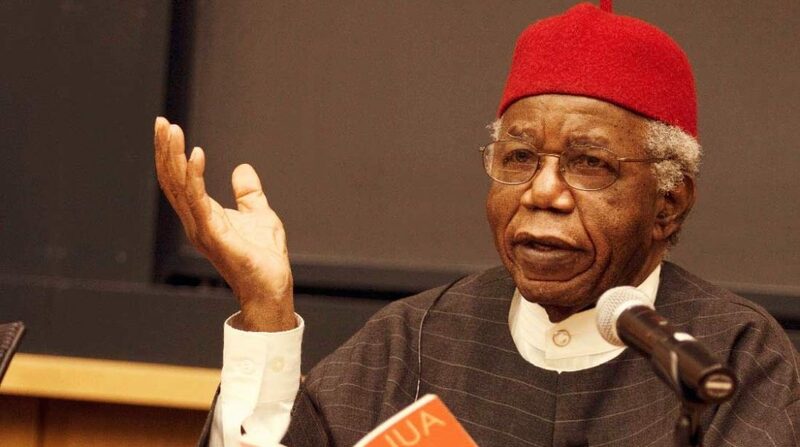 Achebe takes distance therefore from fanaticism and tries to remain objective. Gikandi also claims (and the novel somehow ratifies it), that Things Fall Apart has a moral component, which makes me wonder whether this factor possibly goes against a tenet of literature, which advises to remain objective and neutrally ethical or in the least indifferent towards ethics. Although, as mentioned before, it is also true that Achebe’s register is cold and objective, yet again that is not at odds with an ethical suggestion… In conclusion, I would strongly recommend reading Things Fall Apart. You really make it appear really easy with your presentation however I to find this matter to be actually something which I believe I’d by no means understand. It seems too complex and extremely extensive for me. I am taking a look forward on your subsequent submit, I will attempt to get the grasp of it!